Homeowners spend a great deal of time fretting over choosing the perfect heating and cooling systems – but installation is just as important as selecting the right equipment! The quality of installation work performed has a drastic impact on the HVAC system and your comfort over its service life. 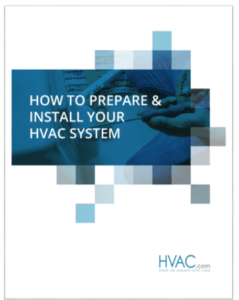 Complete this form and download this handy HVAC installation guide!